Russia’s hockey squad will defend its World Champions title against archrivals Canada in the final on Sunday after beating Team USA 4-0 in the semis. The Americans played with an advantage in the two opening periods at the O2 Arena in Prague, the capital of the Czech Republic. 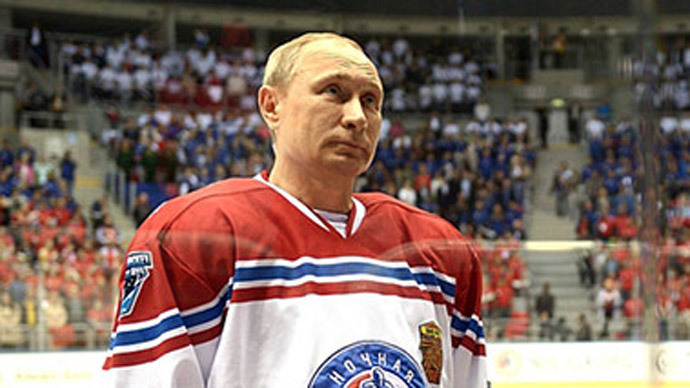 Russia had its goalkeeper, Sergey Bobrovsky, to thank for the score staying at 0-0 after 40 minutes. The Russian team managed to turn up the heat in the third period, with Sergey Mozyakin making it 1-0 after a great solo effort in the 47th minute of play. Three minutes later, Justin Faulk lost the puck near the US goals and was immediately punished by Alex Ovechkin, who doubled Russia’s lead. Vadim Shipachev then upset American goalie, Connor Hellebuyck, putting the outcome of the match beyond doubt, 3-0. 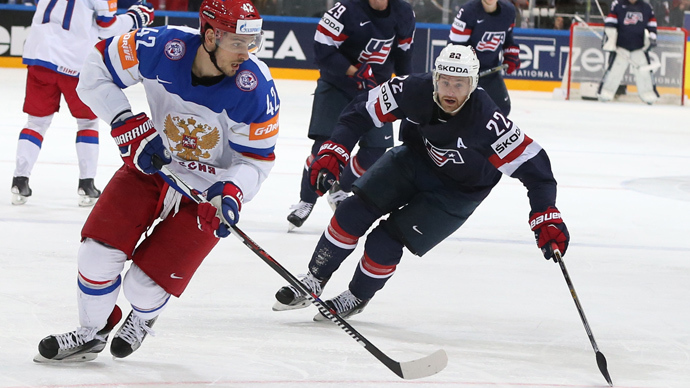 The final score of 4-0 was settled by Evgeny Malkin, who had the easiest of tasks, netting into empty goals after the US replaced its netminder with an extra skater. It was the team’s second meeting in the tournament, with the US taking the upper hand 4-2 in the group stages. Team Russia has made it to the World Championship final for the fifth time since 2008, having won the title on four occasions. In the other semifinal, Canada beat the Czech Republic 2-0, sending the World Championship hosts into third place, with goals scored by Taylor Hall and Jason Spezza.